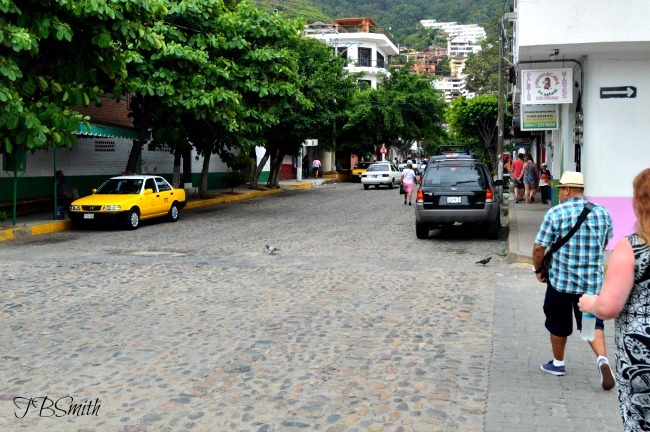 Want to get up close and personal with the people of downtown Puerto Vallarta while eating your way through its’ streets? 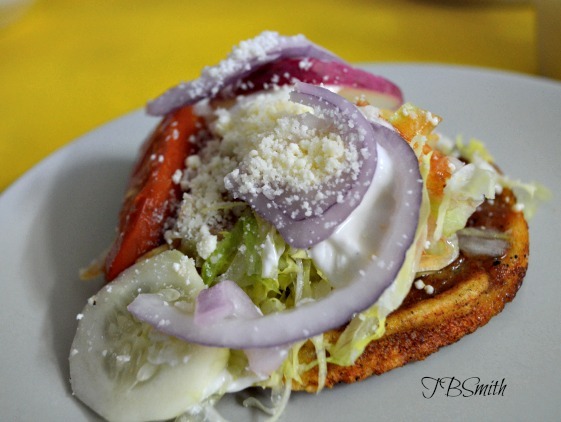 Consider exploring on a Puerto Vallarta street food tour. 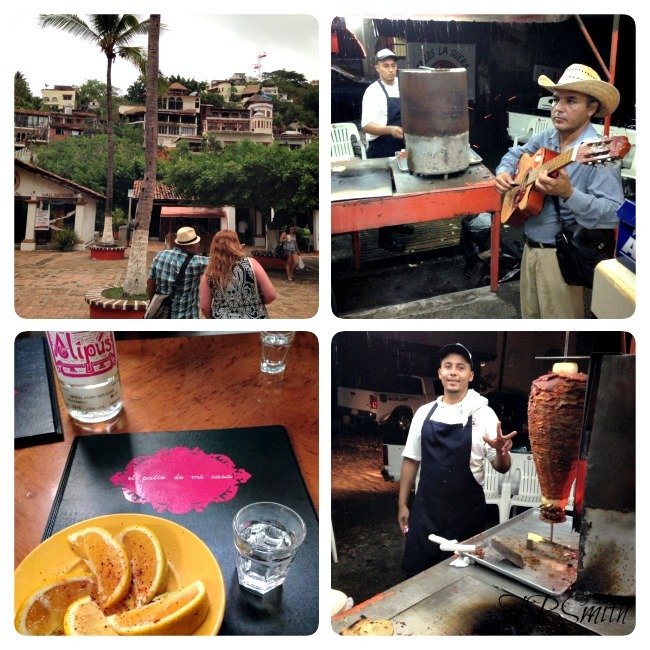 On my trip to Puerto Vallarta I went on a taco tour with Vallarta Food Tours. Their motto is “Become a local in 3 hours.” We’re not locals just yet. Our tour, led by expat Ricardo “Lobo” Lopez took us on a culinary journey through two downtown neighborhoods, Emiliano Zapata and 5 de Diciembre neighborhood. This isn’t a tour that I’d suggest doing with really young kids although Lindsay Prime, owner of Vallarta Tours says they’ve “had kids as young as 6 years old who loved the tour and trying new foods.” Just know that there’s a lot of walking involved and that your child should have a marginally adventurous foodie spirit. 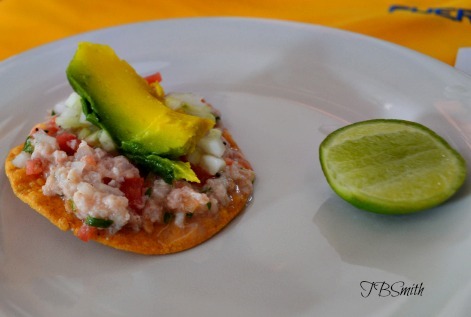 Vallarta food tours has three different tours per day: a breakfast tour, lunch tour, and dinner tour. The dinner tour is the only one that’s a taco tour. For our taco food tour, we stopped at eight different locales, including street stands and brick-and-mortar restaurants. Over the course of my five days in Puerto Vallarta, I enjoyed authentic Mexican flavors everywhere, however, a few of the stands we visited downtown served up dishes with flavors that really stood out. 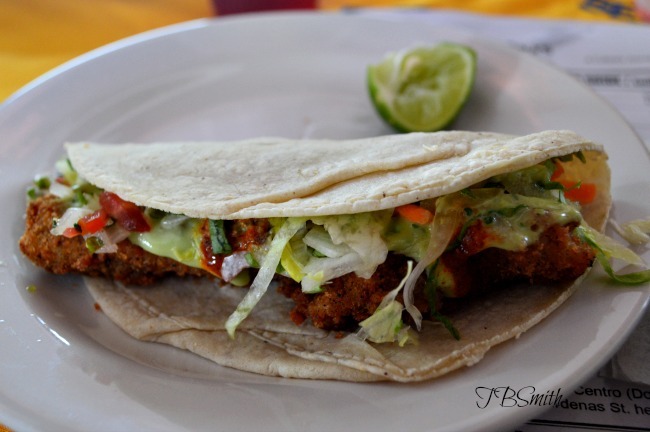 The classic Baja style fish taco. Cervicheria El Guero makes a crunchy, delicious fish taco best topped with the house hot sauce and cilantro-avocado paste. However, El Guero’s specialty is a fresh mahi mahi ceviche. Served on a chip, it’s light and flavorful. This restaurant started out as a taco stall back in 1989 and has since graduated to a brick and mortar restaurant on the corner of Madero And Constitución St.
At Restaurant Lolitas, I enjoyed the sope, a fried tortilla topped with red sauce, a type of Mexican ricotta cheese, diced onions, lettuce shreds, a tomato and chicken. If you’re a sweets lover like me, be sure to check out Julio’s Churros on the corner of Uruguay and Peru. He serves piping hot churros from his stand daily from 6pm-10pm. The churros are crispy on the outside and soft on the inside, rolled in cinnamon and sugar, and very inexpensive. 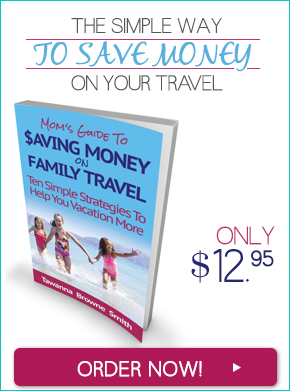 For a bag of 5 six-to-eight inch churros, you spend less than $1USD. 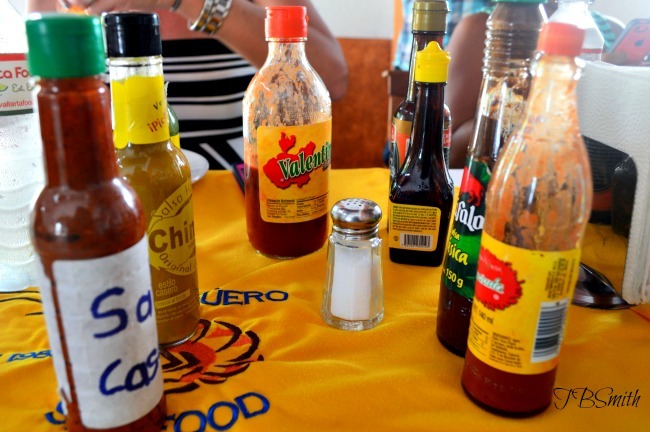 The benefit of taking a tour like the one with Vallarta Food Tours is that you have a chance to not only eat simple yet bold Mexican foods, you enjoy an overall enriched experience by hearing the personal stories behind many of these stalls. 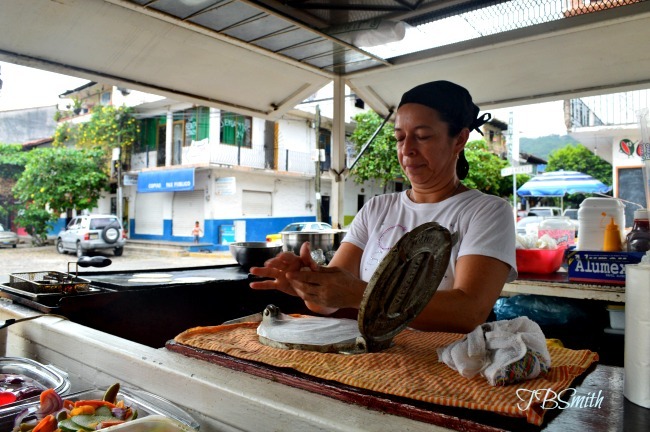 For instance, Julio has been working his churros stall consistently for two decades. Pick your choice of sauce from mild to stupid hot. Tacos Memo: 400 Basilio Badillo St.
Tacos Don Juan: 400 Cardenas St.
Patio De Mi Casa: 311 Guerrero St.
El Carboncito: 137 Honduras St. I was a guest of the Puerto Vallarta Tourism board and Vallarta Food Tours, however all opinions expressed within are my own. I forgot the story about the man putting his child through college. Such great food made by people who really seem to take pride in their craft. Loved this tour. And lots of great stories we wouldn’t have known had we not gone on this tour and received the backdrop.